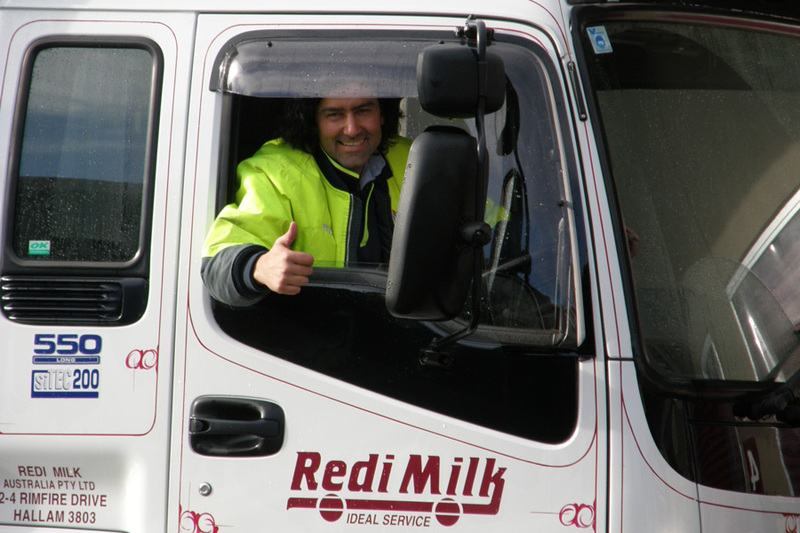 Redi Milk, a family owned business, is a food, dairy and beverage distribution company delivering throughout Victoria. From humble beginnings over 25 years ago, Redi Milk has grown on the back of hard work, strong values and great customer service. They offer the highest level of care and service when delivering Summer Snow juice as well as other foodservice product to top retailers and restaurants around the state. Their prestige fleet of trucks and vans bring you fresh product with utmost care and attention to detail. Located conveniently in Hallam, just 20 minutes from Bellevue Orchard, Redi Milk also provide quality foodservice product to wholesale trade, and offer product direct to public. The Summer Snow and Redi Milk teams proud to be working together and they look forward to providing a quality delivery service to you. The Melbourne Pear Company was started to provide a marketing outlet for Leslie Apted & Sons, who have been growing fruit at Arthurs Creek in Victoria since the 1920’s. The business has expanded greatly over the years and now has members of the fifth generation of farming Apted's working with it. Melbourne Pear operates at the Epping Wholesale Market, representing Leslie Apted & Sons, Bellevue Orchard and growers from across the state. In addition to representing fruit growers Melbourne Pear Company has been the sole representation of Summer Snow juices in the Melbourne Market since we began making juice. Collaboration between the Russo and Apted families goes back many years and continues as they promote Summer Snow Juices into fruit shops across Victoria. Get in touch with Robert and his crew to pick up some juices and have a yarn. Epping Market address: Store 141, 35 Produce Drive, Epping. The N&A Group is a family owned and operated business with a history going back to the 1890s. The Cathels family have over 50 years of tradition growing, packing and marketing premium quality, farm fresh Aussie produce and are recognised by the industry for their professional and personalised service. 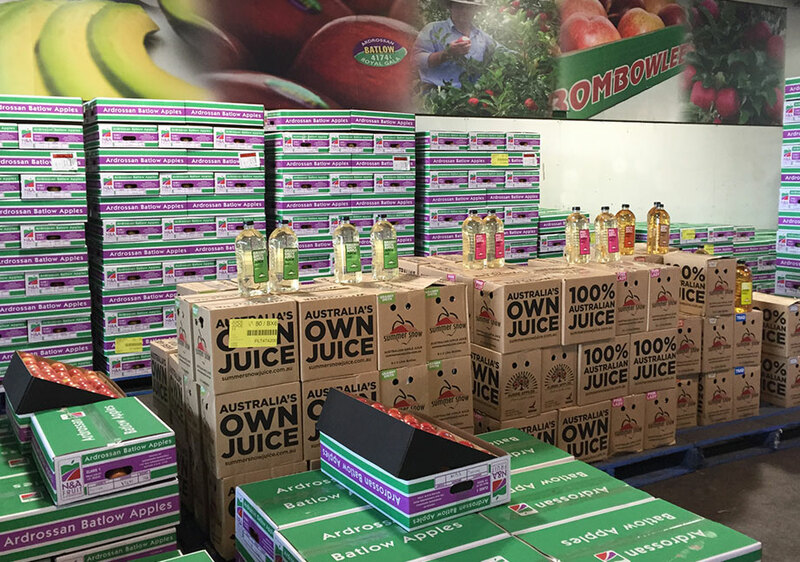 They specialise in providing fruit shops, green grocers and specialty supermarkets with premium apples, stone fruit, avocados, citrus and mangoes as well as being the exclusive distributor of Summer Snow Juice for NSW. Using its central location in the fresh produce supply hub of the Sydney Markets, N&A Fruit Distributors has built a well-established supply and distribution chain that allows it to service all sectors of the market in locations throughout NSW. All sales enquiries to Toby Papendieck. Montague is an Australian owned family business that provides diverse services and solutions to the food industry, their roots are in apple growing and they operate Orchards in prime growing regions across Australia. In 1995 Montague Group took over the established Queensland fruit wholesale company A J Carter Pty Ltd and created MFQ (Montague Fresh Queensland). This gave them a strong presence on the North Coast. It is through this network that they are able to supply the major Queensland retailers and the independent sector with the freshest produce available including our Summer Snow fruit juice range. MFQ is dedicated to the central market system which services the Queensland independent retail sector with a weekly customer base of over 600. They have dedicate areas for products such as Summer Snow Juices. Hamish Montague, who heads up MFQ, sees the Summer Snow range as a valuable product in their future.